The opening day butterflies are officially behind us as the 2018 World Series of Poker picks up steam headed into week #2. There is plenty to look forward to, including a long list of upcoming bracelet events as well as plenty of opportunities for fans to tune in to Twitch or PokerGo to rail the action. This week is rife with tournaments for those looking to play some of the lower buy-in events with hopes to bink a bracelet. The week starts off with the final two flights of the mammoth Colossus event. Monday is the final day for players to find a bag and win a spot in the Day 2 field. The end of the week is just as plentiful for those looking to spend under $1K. Friday brings both flights of the $565 Pot Limit Omaha Event. The $565 PLO Giant will field its second flight on Sunday. Add to those, another flight of the $365 NL Giant and there will be no shortage of players spinning up the prize pools all weekend long. For the recreational player, perhaps one of the most anticipated events on the calendar is Event #21 – The $1,500 Millionaire Maker. The cornerstone event gets underway on Saturday, June 9 and offers two flights, with a single re-entry per flight. The winner is guaranteed a minimum payday of $1,000,000. Last year, Canada’s Pable Mariz, outlasted the 7,761 entries for a $1,221,407 payday. There are no days off this week when it comes to the streaming schedule. Big money is on the line right off the bat as PokerGo streams the final table of the $100,000 NL High Roller on June 4. Some of the game’s biggest names, including Bryn Kenney, Stephen Chidwick, and final table chip leader Nick Petrangelo will be vying for the first million-dollar payouts of the summer. There’s so much streaming action this week that on June 4, 7, and 8 there are multiple streams, giving players the non-stop action they crave. Elio Fox, another one of the big names sitting at the final table of the $100,000 NL High Roller, will have the opportunity to become the first double bracelet winner of the young summer. Headed into the final table, he’s currently third in chips. 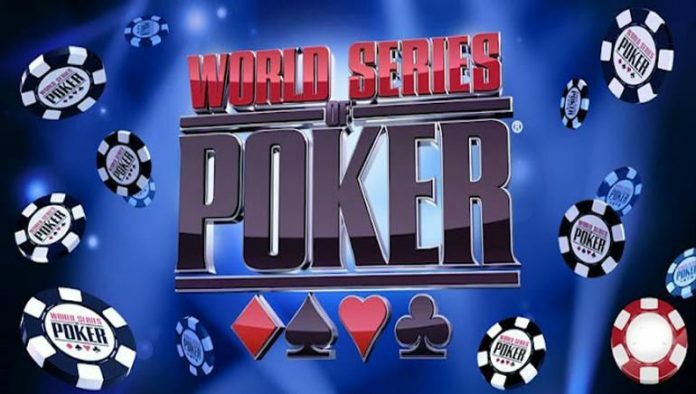 The first of the four online bracelet events to be held on WSOP.com, which includes players from New Jersey for the first time, closed registration with 2,972 runners. The $365 tournament saw a 16% increase in players from the $333 online bracelet event held in 2017 which attracted 2,509 players. Will the Colossus live up to its name in 2018? Keep an eye on Monday’s numbers for players registering for the final two flights of the $565 Colossus. In 2017, the field exceeded 18,000, generating a prize pool of over $9 million. Through four flights, the total number of runners ended up right around 7K, leaving only two flights (on a Monday) to make up a massive difference to even get close to those 2017 numbers.